Overall I thought they were delish and on par with varieties I’ve tried in the past. Once cooked they have a mild, buttery flavor that makes them a prime choice for some epic batches of creamy refried beans. In Mexico it’s more common to see Mayocobas referred to as Peruano or Canary Beans, so if you come across a yellow bean labeled like that in your area then you’re on the right track! RG can be a bit spendy so if you fall in love with these beans (definitely possible!) then it’s probably worth comparing them to a local option in your area. 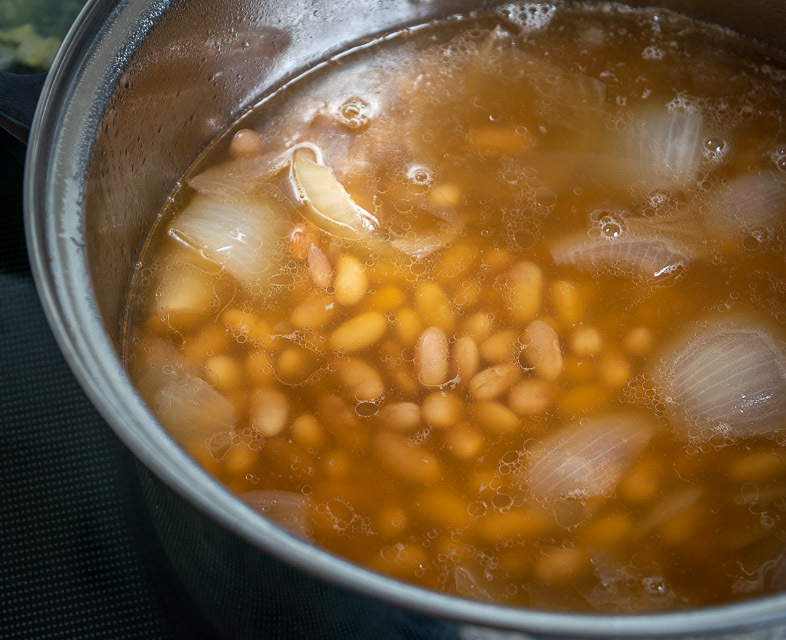 Traditional Frijoles de Olla (Pot Beans) will bypass any soaking and just let the beans simmer on the backburner for a couple hours, so that’s what we’ll do with this batch. That’s leftover bacon drippings that I’ve been storing in the fridge for the past couple weeks. 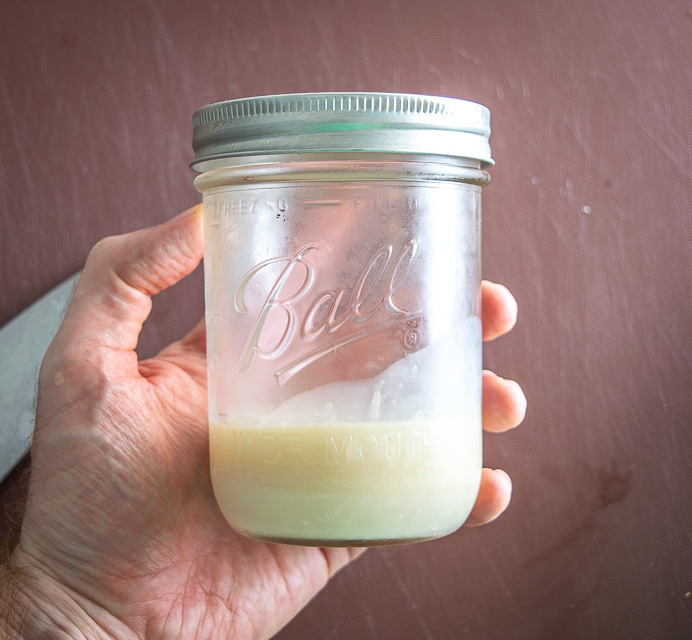 I’ve been using it more frequently (in Tortillas and Gorditas) and it’s a viable substitute for traditional lard that’s rendered from back fat. And note that you can substitute oil in place of lard but your taste buds might get angry with you! I usually give them a quick rinse, removing any floaters or struggling beans. 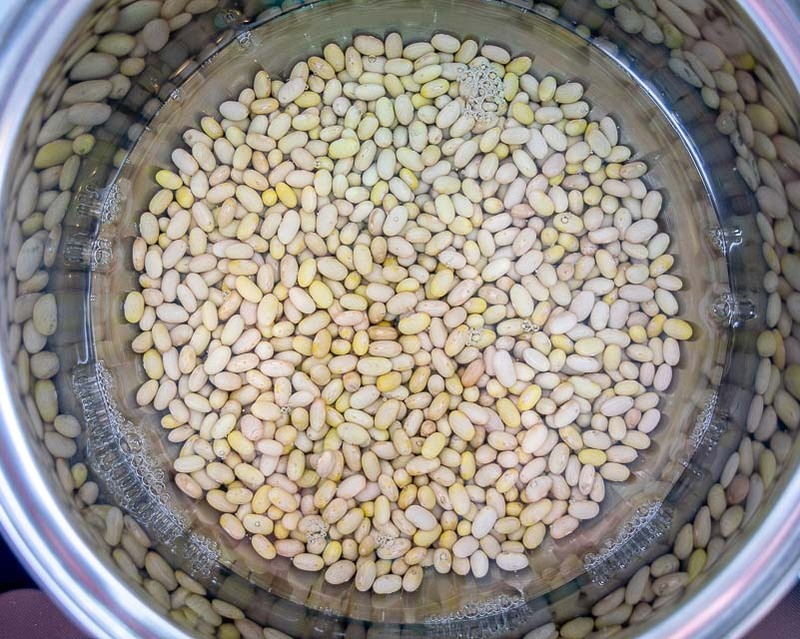 Drain the rinsed beans and add them to a pot along with 2-3 quarts of water. You’ll want the water level to be about 2″ above the beans. I usually eyeball it knowing that you can always add additional cups of water as they simmer. Add 3 tablespoons of the bacon drippings and a roughly chopped small onion. Bring this to a boil and then reduce heat to a simmer, partially covering them. These will need around 2 hours to fully cook but they won’t tell you exactly how long. It’s best to start taking bites of them after 90 minutes or so. If they are still hard and grainy then you’ll know they need a bit more time in the pot. If the water level gets low and they are no longer submerged simply add some additional cups of water. I added a heaping teaspoon of salt at this point and let them simmer for another 20 minutes or so. This final simmer with the salted broth makes a huge difference in flavor so don’t skip it! So why not add the salt at the beginning? Supposedly it affects how they absorb water, but this is something that I would love to test at some point. I also added a pinch of Mexican oregano at this point but you can consider this optional. 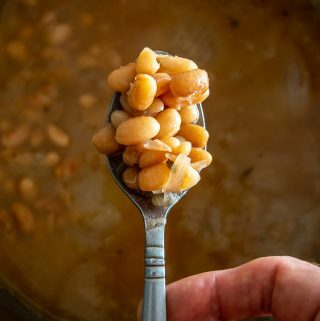 Ideally they are still swimming in some broth when they finish cooking as the broth is delicioso and it makes it easy to control the consistency of your epic refried beans that are on the horizon. Take a final taste for seasoning, adding more salt if necessary. Beans are hypersensitive to salt amount so don’t be shy with it the first time you make these beans. I added another generous pinch so that is about 2 teaspoons total for this batch. 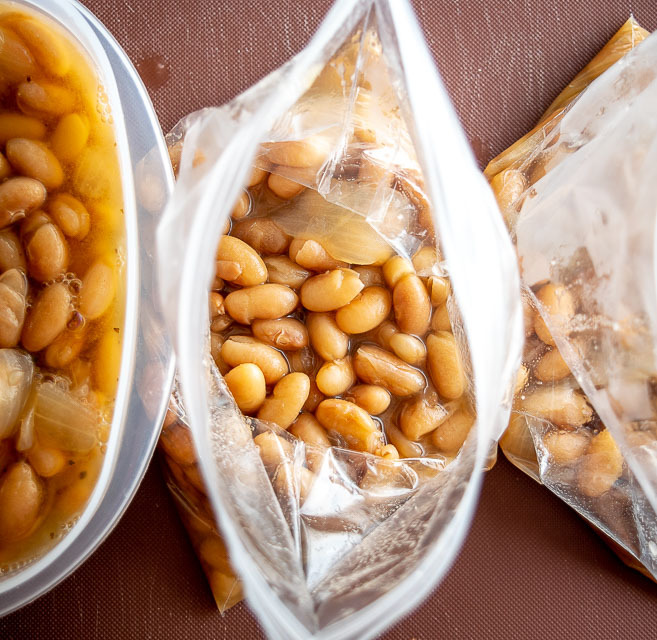 Cooked beans will only keep for a couple days in the fridge so I usually portion out 1-cup servings and freeze a few of them. You can serve them as is but one of the advantages of having broth leftover is that it makes it easy to whip up a batch of refried beans. You can simply add the beans and broth to a skillet over medium heat. Once heated you can easily smoosh them with a firm spatula. Cook until they have the consistency you prefer. To thicken them up let them cook longer. To thin them out add a splash of water. Cooked this way they are already delicious, with a buttery consistency that makes them a great alternative to Black and Pinto. But of course for a traditional batch of refried beans you’ll want to cook them off in a tablespoon of, you guessed it, lard! Along with a bit of onion. You could use a tablespoon of bacon fat along with 1-2 tablespoons finely chopped onion and you’ll have some very happy campers in your household. And if you want to go full flavor you can always make something like these chipotle infused refried beans. However you fry them up, it’s worth keeping an eye out for these Mayocoba/Peruano/Canary beans in your neighborhood. 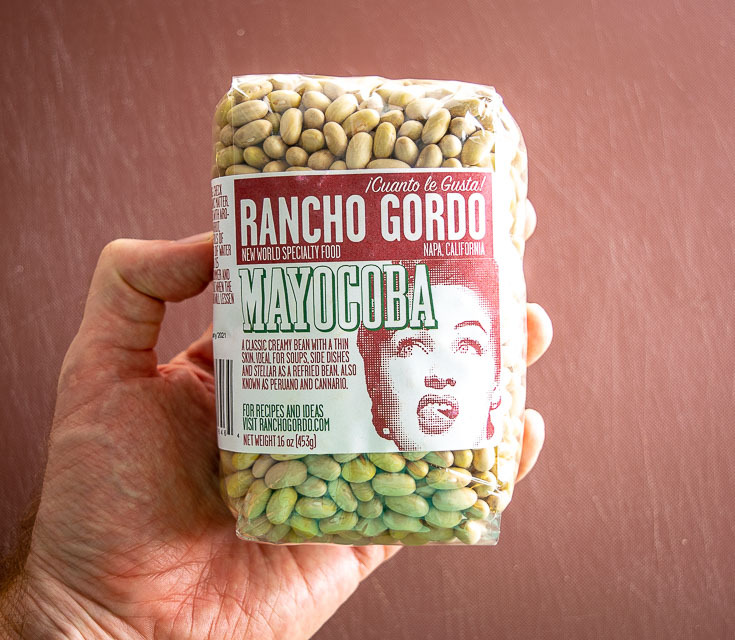 And if you don’t spot any then give the Mayocobas at Rancho Gordo a try — it’s a great way to see if your taste buds want them in your kitchen. Here's an easy way to get some Mayocobas (Peruanos) in your life! I cooked this batch in bacon fat but you can use lard if you want (or oil). Sort through the beans and discard any rocks or shriveled beans. Rinse and drain well. Add beans to a pot and cover with 2-3 quarts of water, or so the water level is 2" above the beans. Add the roughly chopped onion and 2-3 tablespoons of bacon drippings (or lard). Bring to a boil. Reduce heat to a simmer and partially cover. Let simmer for 1.5-2 hours. 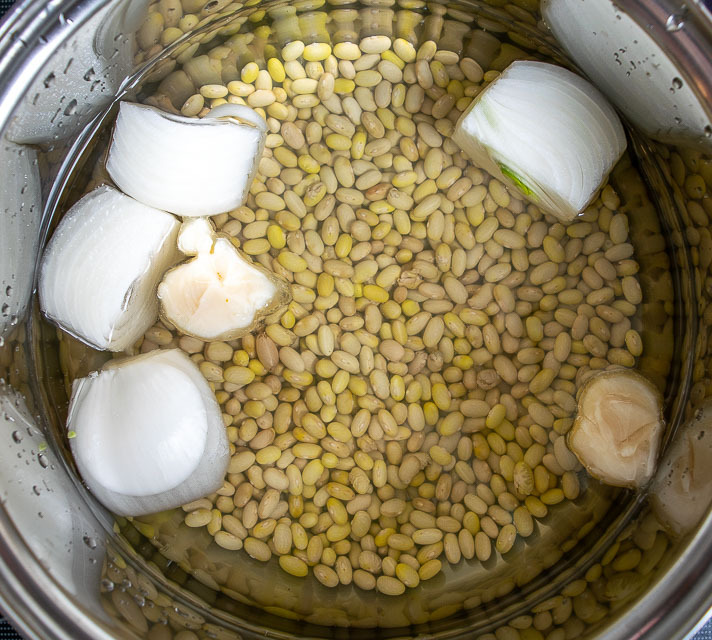 Ensure that the water level is well above the beans by adding more water as they cook if necessary. Once cooked add 1 teaspoon of salt and simmer for another 10-15 minutes. I also added a pinch of Mexican oregano at this point. Give a final taste for seasoning, adding more salt if necessary. I added another generous pinch, so that is about 2 teaspoons total. Serve immediately. If you want, portion them into 1 cup sized bags along with plenty of the broth for freezing. Add them to a skillet over medium heat along with plenty of the broth. Once warm smoosh them with a firm spatula or a potato masher. To thicken them up let them cook longer. To thin them out add a splash of water. Saute 1-2 tablespoons of finely chopped onion in a tablespoon of lard (or bacon fat). Once the onion is softened, add 1-2 cups of beans along with some broth. Once warm smoosh with a spatula or potato masher. 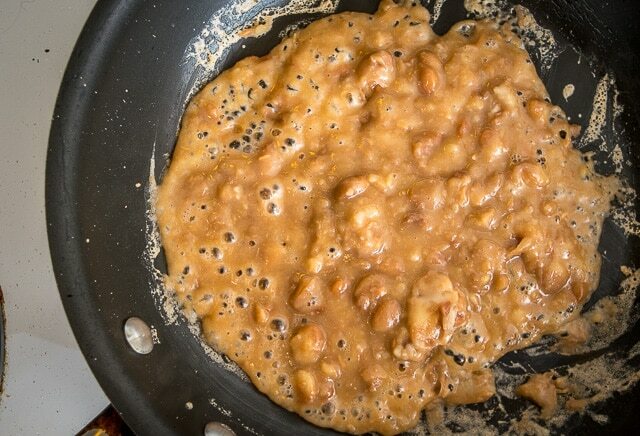 Add even more flavoring by making something like these chipotle infused refried beans. 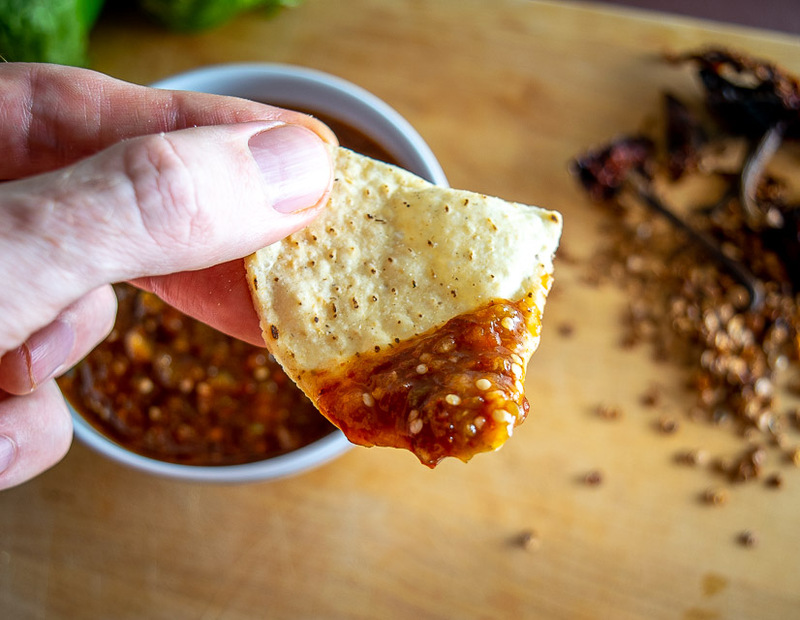 Our latest post is this fiery Pasilla de Oaxaca Salsa. I added ham hock to the cooking process along with a serrano pepper to jazz it up even more! Yummy for my tummy! I love all of your authentic recipes that you post! Just keep on sharing please! Oh nice, those sound like some great additions Suzee! I love getting your recipes in my email InBox!! This one especially warms my heart because this is how I learned to make beans in Phoenix! I lived there for 55 years but moved to Iowa 11 years ago. There is a large Mexican population here but the food is very different. I suppose that, like in the US, food can vary by State in Mexico. There is one large and very popular ‘Mexican Food’ place here which the locals love. I have found one dish I can tolerate. Luckily, there are two very small, and not so grand, places where the food is similar to the type I grew up with and learned to love. Before I sign off I have a funny story not related to the Mexican population here. Every fall, as the weather starts to cool, the front end caps in the grocery stores are full of ingredients for chili: kidney beans, tomato juice, taco seasoning and oyster crackers. OMG! I noticed that you don’t soak your beans first? Your thoughts? Hi Lani, you can soak them if you want and you’ll get a reduced cooking time, but I learned by just putting them on the stove and letting them simmer away and it’s habit at this point. In Spain we add a bit of Bihar de soda when cooking garbanzos, don’t know if this would help.. Give it a try with some. Thanks for all the great recipes, they are delicious. Hey thanks for your note Geraldine. Cheers. Very glad to have found your site, love the way you cook. Too funny, this post, 3 days after getting back from 3 months in the Yucatan. 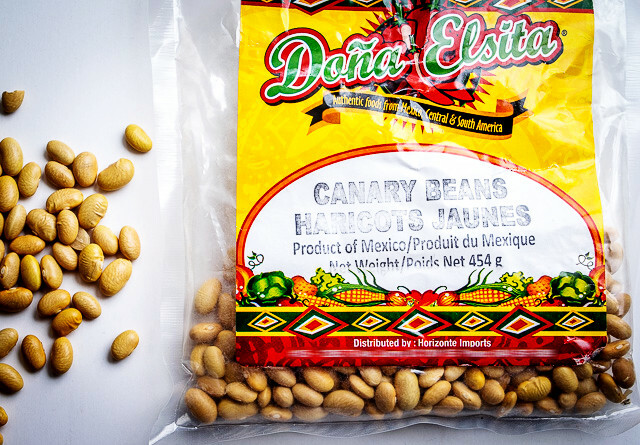 Will look for these beans in the Mexican food section at the store in Ontario and hopefully next year when we return. Thanks Carol! 3 months in the Yucatan sounds awesome, hope you enjoyed it! I love Peruano. We used to have Pinto all the time when I was a kid, but my mom switched to Peruano around the time I hit my teen years. They certainly have a smoother taste, but whenever I get Pinto beans in my burrito from the taco trucks, I get hit with nostalgia.